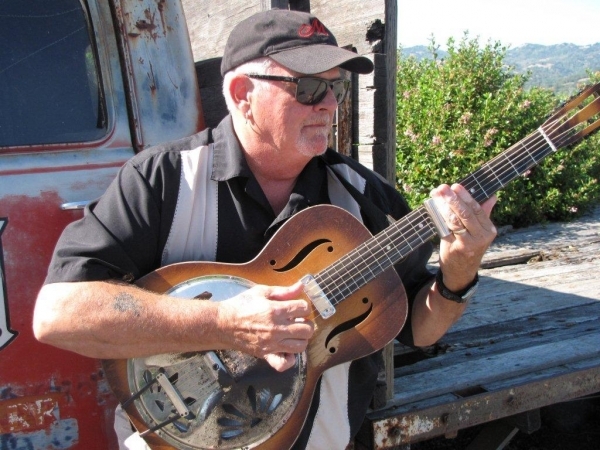 Calgary-based blues guitarist Tim Williams has been playing the blues since the mid 60's, getting his start playing coffee houses in Southern California, eventually settling in Canada in 1970. He's in much demand as a studio musician, adept on a number of stringed instruments and his fretwork has been compared to guitar legends such as Ry Cooder and David Lindley. 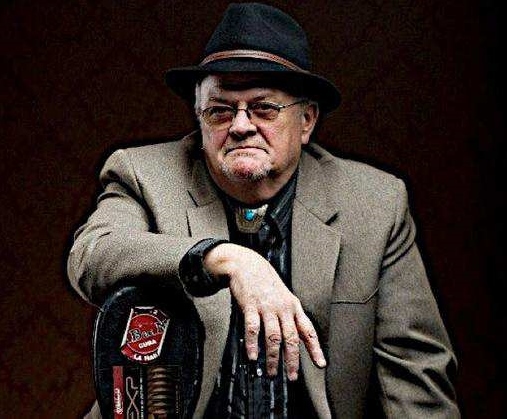 He's also a talented songwriter and he's won a number of awards over the years, including the Calgary Blues Music Association's Guitarist of the Year for 2012. More recently, Williams won top honors at the 2014 I.B.C., winning the Best Solo or Duo category and the coveted Best Guitarist Award. Continuing his hot streak, Williams recently released So Low on Lowdenproud Records. 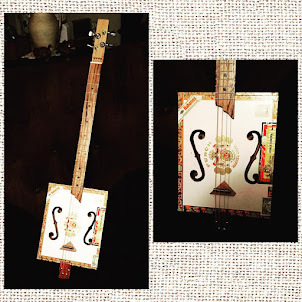 This is his first release as a solo act and he sings and plays six and twelve-string guitars, resonator, and mandolin. So Low has ten tracks, four originals and six covers. If you dig solo acoustic guitar, you must have this disc. Friday Blues Fix: When did you first become interested in playing music? Do you come from a musical family? Tim Williams: My mother’s family and some of their friends were somewhat musical, and from watching them make music together on my grandparents’ patio I got the bug to play. I took up drums at eight, cigar-box guitar around that same time, and guitar and trombone when I was twelve or thirteen. 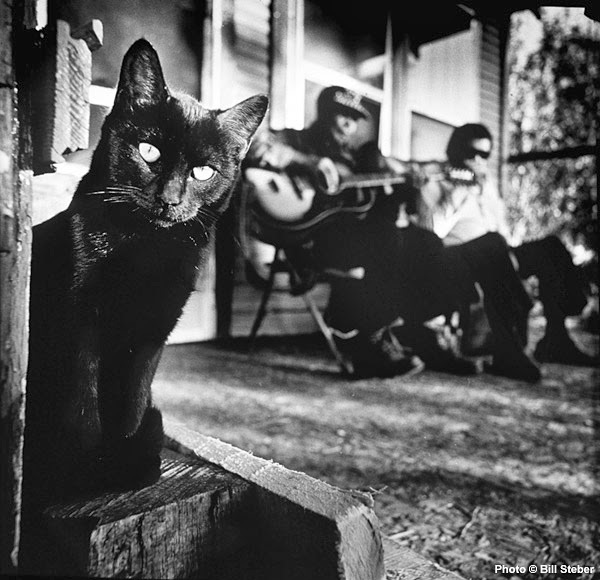 FBF: What kind of music did you listen to when you were growing up, and how did you gravitate toward the blues? 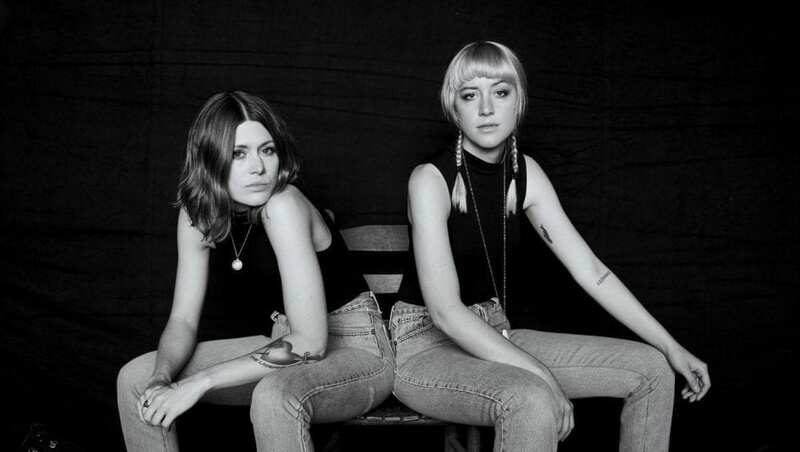 TW: Southern California was a great place to grow up, in terms of musical influences. My parents loved Town Hall Party, the TV show filmed in Compton, which featured guitarists Merle Travis, Joe Maphis and Larry Collins. I was also exposed to Mexican music, Hawaiian music, and the great West Coast blues artists like T-Bone Walker and Pee Wee Crayton. I saw it all as just plain music, but the honesty in the lyrics of the blues drew me to it especially. FBF: In your opinion, what is it about the blues that has such appeal to not just musicians, but fans? TW: The blues looks everyday life right in the eye. It’s the truth. Addressing your troubles diminishes their power over you. TW: My guitar influences are pretty numerous and all over the map. Lightnin’ Hopkins, Mississippi John Hurt, Skip James, Robert Johnson (acoustic players); T-Bone, Robert Lockwood Jr., Gatemouth Brown, Barney Kessel (electric); the great Hawaiian guitarist Sol Hoopii, and any number of Mexican players whose names I never learned. FBF: Your career dates back to the mid 60’s, but So Low is your first ever as a solo act…..producing the disc and playing all of the instruments. How long has this project been on your mind and how challenging is it to do all of it? TW: I have always wanted to do a studio recording in this manner. My earlier discs all mixed ensemble pieces with solo pieces, and sometimes I over-dubbed myself. For years I have wanted to simply record, under optimum circumstances, a disc of what I usually do live…two hands, one instrument. FBF: You wrote several of the songs on So Low……. Tell us about how some of them came about. Can you describe your songwriting process? TW: My songwriting process is like that of a lot of other writers. I carry a notebook and a pen with me most of the time, and these days I also use an iPhone to record ideas while I’m touring. I then take a look at it later and decide whether it moves me enough to finish it. Then there are the songs which basically write themselves as you write them down. That was the case with "Midnight After Midnight," whereas I carried the idea and first verse of "Lightnin’" around with me for a year before I finished it. FBF: You cover a wide range of tunes on So Low……how many did you have to choose from and how did you decide on the six that you used? TW: Deciding which tunes make the final cut on a disc is usually a process of elimination, but with this project I knew exactly which tunes I wanted to record. Cover tunes are tricky in their own way because people experience them in a live setting and respond to that…meaning they may not be as good in a recording studio. I just followed my instincts. FBF: In 2014, you had a huge year at the International Blues Challenge in Memphis, taking home top honors in the Best Solo/Duo category and the Best Guitarist award. 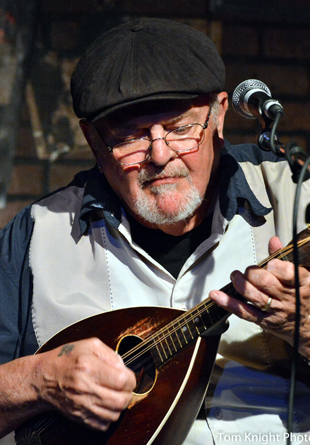 Can you describe what goes on for a typical blues performer during the IBC competition? TW: My experience at the IBC competition was that it was a chance to hear what other people who share my love of this music are doing, and to meet other individuals who (like me) are serving a life sentence in the blues…artists, presenters, publicists and managers, media people, etc. I think that’s typical of most artists who compete. But it is a job, and the nitty-gritty of it is that you get up and do what you have to do (media, showcases, etc. ), make sure of where you’re supposed to be, and get there early. Play your behind off, eat some catfish, maybe hear another act or two, and get some sleep. It’s not always easy, but I found the more rested and prepared I was, the easier each round of competition was. FBF: So what are your future plans? Do you have another solo album in you? Do you have any other special projects in the works? TW: Future plans include a whole lot of touring, playing festivals and teaching at blues and guitar camps. The next recording may be solo, or it may be a guitar/drums project, letting me play some electric guitar. There’s a theatre piece I’m working on (yes, about the blues), and there’s a recording in the can with a pair of very talented friends which may come out soon. TW: Probably working on a ranch somewhere (I did that job for several years). Check out Tim Williams' discography here. There have been a lot of musicians passing away recently in several genres. We have paid tribute to a few of them here at Friday Blues Fix lately. Time passes and things change. 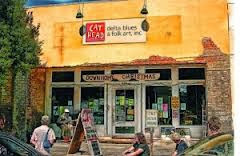 This week, FBF will pay tribute to a couple of Mississippi blues artists who recently left us. We'll also look at the last days of a musical institution which helped pave the way for many blues artists and fans for over 50 years. Ellisville, MS blues man L.C. Ulmer died on Sunday. He was found unconscious at his home Sunday morning. 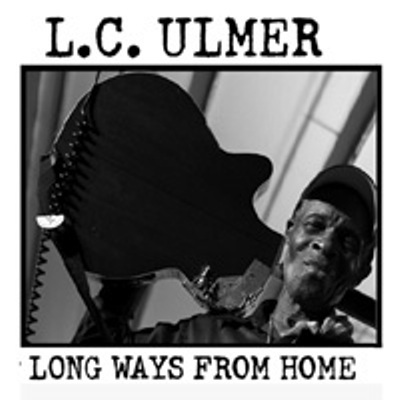 Ulmer was born in Stringer, MS, and was a regular part of the Jones County, Mississippi blues circuit for a number of years in the 50's. He eventually left to find work in areas ranging from Cuba to Alaska before settling back into Mississippi in the early 2000's. 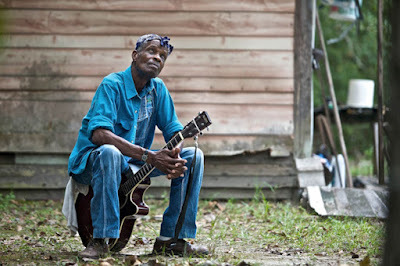 I first saw and heard Ulmer on Jeff Konkel and Roger Stolle's documentary, M for Mississippi: A Road Trip Through the Birthplace of the Blues. Their paths crossed on the last day of their trip, and Ulmer's performance of "Rosalie" was absolutely mesmerizing. I couldn't believe that I'd never heard him before. Over the last few years, he released a couple of albums, 2008's Long Way From Home, an entertaining CD which was recorded live at the Rootsway Festival in Parma, Italy. 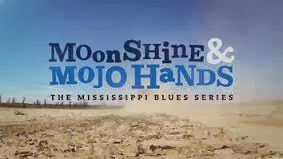 In 2011, he released Blues Come Yonder, one of the best of the year, which we reviewed here, Last year, my family and I passed through the Bentonia Blues Festival during our trip to the B.B. King Museum, and Ulmer was playing onstage while we were there, so I did get to see him perform, although briefly. 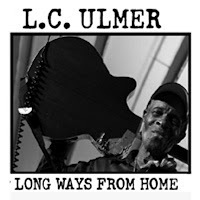 Ulmer was a multi-instrumentalist, who played guitar, banjo, keyboards, harmonica, drums, mandolin, and violin. He also loved to work on vintage cars and was something of a health nut, usually promoting homemade remedies and strict diet recommendations (he was an avowed vegetarian). Since his death, there have been numerous comments on Facebook from Ulmer's fans and friends, including Konkel. Stolle, and photographer Lou Bopp that are worth reading. From all I've read, Ulmer was a nice man, who made friends everywhere he met. He able to tour thoughout the U.S., Europe and Israel over the past few years and was still active until just before he passed away at 87 years of age (there are some reports that he was older). He will be missed by his many fans and friends. 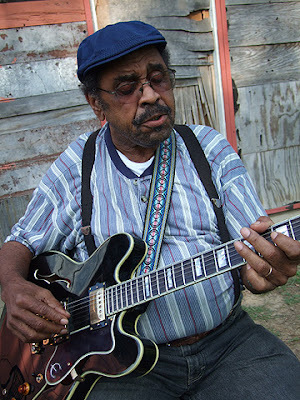 Natchez, MS blues man Elmo Williams passed away on Tuesday night at the age of 83. He had been in declining health for a couple of years and had recently gone into hospice care. Williams only played full-time as a musician for a couple of years, working at various jobs in sawmills, a bakery, and a dairy, while playing music on the side. He played for over sixty years, starting at local gatherings in Natchez with local musicians, including longtime collaborator Hezekiah Early, before being drafted in the army in the early 50's. 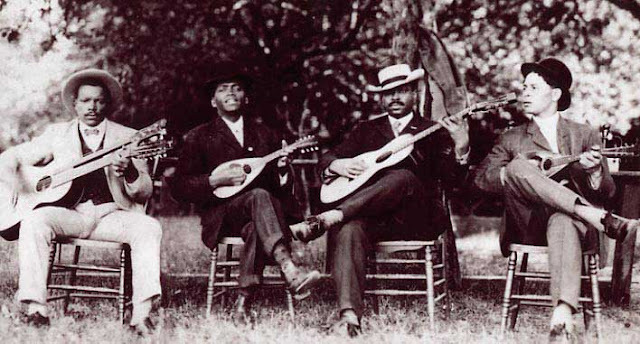 When he was discharged, he returned to Natchez, playing occasionally with a band that included Early on drums. He formed his own band in the mid 50's, which played regularly in Natchez clubs and across the Mississippi River in Ferraday, LA. He continued to play throughout the 70's and 80's, mostly at local functions, eventually traveling overseas to play with other Mississippi blues artists at the Blues Estafette festival in the Netherlands. The arrival of the casino boats in Natchez spelled an end to the juke joints, so Williams basically quit music at that time. 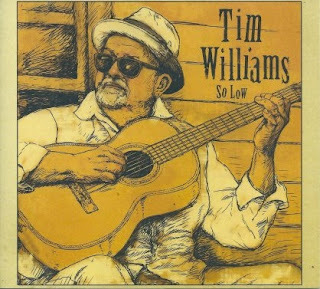 Fat Possum Records tracked Williams down in the late 90's, and he ended up recording an album with Hezekiah Early called Takes One To Know One in 1998, one of the rawest down-home blues albums of the 90's. The label also released a vinyl-only album, called American Made, in 2008. The pair also appeared in Konkel and Stolle's second blues documentary, We Juke Up In Here: Mississippi's Juke Joint Culture At The Crossroads, in 2012. Konkel really said it best in one of his Facebook posts: Folks, when you get a chance to see one of these older artists perform, don't miss it. They won't be with us forever. This is something I'm becoming more and more aware of every year, as I see many of my favorite blues artists pass away. Now for a departure of a different kind.....For the past couple of weeks, I've been reading about the impending closure of Jazz Record Mart in Chicago. On January 29th, owner Bob Koester put the business up for sale. Over the years, his rent for the building has been increasing to the point that he couldn't justify keeping it open, peaking at a mind-boggling $12,000 a month recently. This week, he sold the store's inventory and the Jazz Record Mart name and website to Wolfgang's Vault, a Reno, Nevada business that buys and sells music, films, and other memorabilia. The sale was final on Monday and JRM closed it's doors soon afterward, one of the last of its kind. When I started listening to the blues, there were several ways that I built my record collection, but the main methods I used were mail order catalogs and record stores. Sadly, both of those are nearly a thing of the past. It's pretty hard to find a record store these days and while there are a few mail order places that are still in operation, most of their orders are more than likely done via the internet. Since I lived in a small town, there were no record stores in my immediate area, but most of the cities within 30 minutes to an hour away had multiple stores, so I would make a trip regularly to nearby cities and hit two-three sometimes four record stores while I was there. Some of their blues collections only consisted of three or four rows of cassettes, albums, or CDs, but as a beginning listener, there was plenty to choose from. I would usually flip through the albums and if I found something of interest, I would move over to the cassettes stacks (which you could look at, but couldn't access in most stores) and see if I could find what I was looking for in that format. I know, sounds kind of geeky now (you should try typing it), but for a new blues listener, there was nothing better than finding something new to listen to. After a couple of years, when I was at Jazz Fest, I picked up a program and it featured an ad for some new releases on Rounder Records. At the bottom of the ad, there was an address where you could request a catalog of their music, so I did. In 4 to 6 weeks, I received a package from Roundup Records, which included their 100-or-so page master catalog, a copy of their monthly catalog of new releases, and a couple of other loose handouts with additional music. 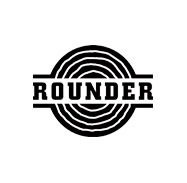 Not only did they have Rounder's list of recordings (and their subsidiaries Black Top, Bullseye Blues, Varrick, Philo, and others), but they also had recordings from other labels.....independent labels, labels from overseas, and even a few widely-distributed labels as well. For me, this was like striking the mother lode. Remember those days when you would order something, write a check or money order, stuff it in an envelope with an order form filled out by hand, and drop it in the mail. Once you did that, you would wait 4-6 weeks for your goodies to arrive in the mail. Around Week 4 1/2, the anticipation was almost too much to take and you were checking the mail sometimes twice a day. When the package finally arrived, it was so exciting! Today, you can either order something and get it in a matter of days, or download it instantly, which is really a cool thing, but for some reason, I miss the other feelings that I used to get ordering the old fashioned way. 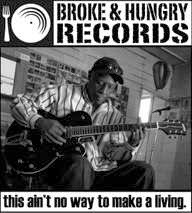 Eventually, I got catalogs from other sources.....Down Home Music was (and still is) an indispensable source of music, as is Bluebeat Music.....also Shanachie Records (where I picked up so many pre-war recordings on Yazoo Records), Antones, Stackhouse Music, and Jazz Record Mart. I ordered many of Delmark Records' finest recordings (also owned by Koester, which he still owns and which continues to release new blues and jazz recordings) from JRM and from Roundup. Even though, there are much quicker ways to expand your blues collection these days, I miss those early days of collecting.....the uncertainty of being able to find what you're looking for, and the excitement you felt when you stumbled onto it. Now, it takes very little effort to find many of the albums you're looking for, which, don't get me wrong, is a great thing, and I still get excited when I find what I'm looking for, but it's a different excitement. One of the things I always wanted to do was visit Jazz Record Mart. Years ago, I went into a huge Tower Records in Memphis, and my wife nearly had to shoot me with a tranquilizer dart to get me out of there.....I had to have stayed in there for three hours, and then went back two days later and spent another hour. Unfortunately, I never got to go to JRM, but I managed to make a pretty good dent in their inventory via their mail order catalogs. I hate to see it shut down, but that's the way of the world these days. Luckily, blues fans have lots of other ways to get their music now and there's more to be had now than ever before, but I still miss the feelings I would get when those packages arrived in the mail 4 - 6 weeks after ordering them and all the great music I was hearing for the first time. So, who's up for an all-instrumental day at FBF? Today, we’ll hear from some familiar musicians playing their instruments of choice. There are a lot of blues instrumentals that have been popular over the years, most notably Freddy King’s “Hideaway” and Little Walter’s “Juke,” from the 50’s and 60’s. Both of those were almost prerequisites for any Chicago blues band (and still are). Everyone had at least one of two jams on their set list to occasionally give the band a chance in the spotlight and to get the crowd going. 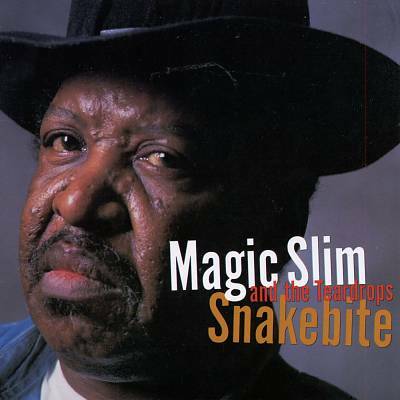 First up today are Magic Slim and the Teardrops with Slim’s tribute to one of his mentors, Hound Dog Taylor. The scorching “Snakebite” hails from his 2000 album of the same name. The Dog was known to pull out an instrumental of his own once in a while, and is credited by many for originating “Hideaway.” Slim’s second guitarist at the time, Michael Dotson, handles the slide work on this track and Slim keeps the shuffle going in the background. Slim was always a generous bandleader, and often stepped back and let his band mates take center stage. He recorded multiple sessions, live and studio for Austria's Wolf Records, and the label also released albums featuring his band members, from Alabama Junior Pettis, John Primer, Nick Holt, and even a couple of collections of tunes from their various live dates featuring these three and other Teardrops..
Next up is Otis Spann, considered by many to be the greatest blues piano player of all time. I’m inclined to agree…..nobody did it quite like Spann. For years, he was a vital cog in the Muddy Waters Band. He also did some recording on his own….his sets with Robert Jr. Lockwood on guitar (Otis Spann Is The Blues and Walking The Blues) are essential listening. In the mid 60’s, Spann was one of a group of artists who recorded some songs on a 3 record anthology for Vanguard Records called Chicago/The Blues/Today! (others included Buddy Guy, Junior Wells, Otis Rush, J.B. Hutto, Homesick James Williams, James Cotton, and Charlie Musselwhite, and, yes, it’s an essential listen, too, as we discussed a few years back). Spann had one of the worst colds ever and tried to sing on a couple of tracks before opting for showing his piano skills……a wise move. “Spann’s Stomp” is from that session and features Spann with drummer S.P. Leary. 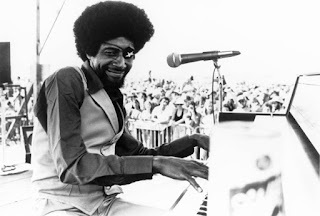 Spann played with Waters until 1969, recording his own albums as a leader off and on, but died in 1970 from liver cancer before he could really take off on his own. From that same Vanguard series, here’s Otis Rush. Rush was thrilled for the opportunity to record again. He had been mired in a horrible deal with Duke Records. Rush had bad luck with record labels. His first label, Cobra, went under when the label owner did (his body was found in Lake Michigan, a victim of too many gambling debts), then he was relegated to the backburner at Chess. After signing with Duke, he had a grand total of one side released in a six-eight years span). All these bad deals made Rush, already suspicious of most everybody in the business, pretty frustrating to deal with, but he left all that behind for his five-song set, which also featured Luther Tucker on rhythm guitar and Sax Crowder on, well, sax. This track, the optimistic “Everything’s Going To Turn Out Alright,” is one of my favorite Otis Rush tunes. It really shows the influence of Albert King on Rush’s playing, Rush's appearance on this series did lead to better things for Rush…..at least for a while. He enjoyed a busy spell in the late 60's/early 70's, recording a well-received album for Atlantic/Cotillion in 1969, a couple for Delmark in the mid 70's, one for HighTone (released in the late 80's), and multiple sessions overseas. 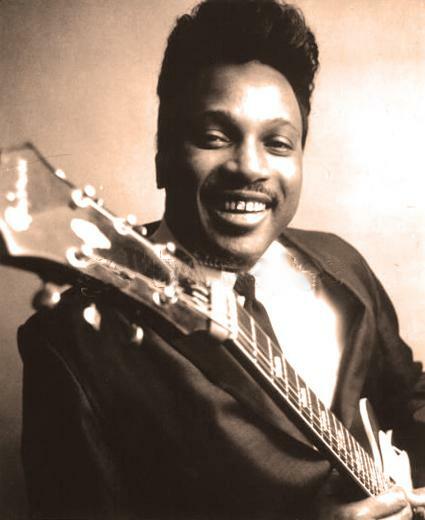 For more info on Otis Rush, check out this 2010 post from FBF. That's all for now, but Friday Blues Fix will revisit this topic again in the future. February 9th is Mardi Gras, 2016 and this week, in honor of the upcoming Mardi Gras celebration, Friday Blues Fix will look at some of the Crescent City’s finest piano players. Though New Orleans is mainly known for its jazz, funk, and R&B pioneers, the city also boasts a pretty strong blues circuit as well, though like all music from N.O., it touches on several different styles besides the blues. This week, in honor of the upcoming Mardi Gras celebration, FBF will look at four of the Crescent City’s finest piano players. 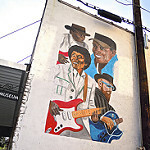 Though New Orleans is mainly known for its jazz, funk, and R&B pioneers, the city also boasts a pretty strong blues circuit as well, though like all music from N.O., it touches on several different styles besides the blues. We don’t hear a lot of piano on FBF for some reason…..what better opportunity to hear it than when you’re talking about New Orleans. 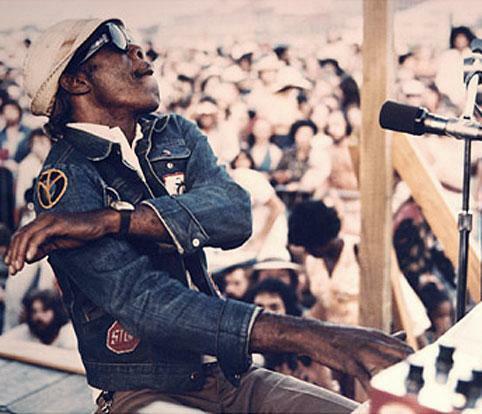 Here’s the legendary Professor Longhair with a longtime favorite song of his…..”Mess Around.” This song was first made famous by Ray Charles in the 50’s, but Fess made it his own and it was always a show-stopper for him. Fess featured R&B, reggae, calypso, and even a little jazz in his music. Reportedly, the piano he learned to play on was missing a few keys, which may have accounted for his unusual playing style. While he may not have been the best piano man in New Orleans, he was certainly the most beloved. 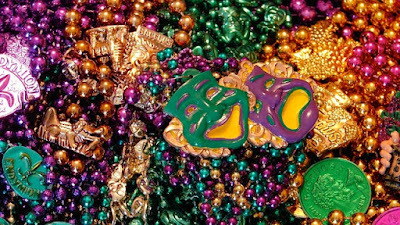 Of course, you can't talk about Fess without including what is, for many, the Mardi Gras anthem "Go To The Mardi Gras." He first recorded it in 1959 for Ron Records, but he also re-recorded it many times, this version is from the same album that produced the version of "Mess Around" above.....Rock n' Roll Gumbo. Next up is a man who many consider the greatest New Orleans piano player, James Booker. Booker was eccentric even by New Orleans standards (and deserves a full post of his own in the near future). His influences ranged from Professor Longhair to Chopin to Meade Lux Lewis and he sometimes incorporated them all into the same song. He didn't release much music during his life, but it's all amazing and incredible to hear. One of Booker’s favorite songs was Lead Belly’s “Goodnight Irene,” and this performance from New Orleans in 1976 is one of his best. Second is a rollicking take on "So Swell When You're Well," from his long-lost 1973 session recorded in California backed by some of New Orleans' best musicians. Despite his massive talent, Booker squandered break after break before dying of a heroin overdose in 1983, leaving a lot of fans to wonder about what might have been. 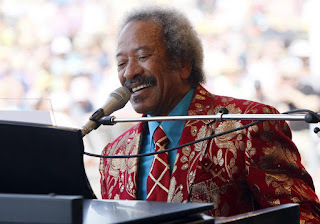 The late Allen Toussaint almost single-handedly carried the New Orleans R&B movement through the 60's and 70's as a producer, writer, artist, and piano player, moving from soul and R&B in the 60's to the gritty funk of the 70's. Many of his songs have become standards over the years, not just in New Orleans, but generally in old school R&B and soul. The first instrumental, "Bono," comes from his early days of recording.....circa 1958, for RCA Records. 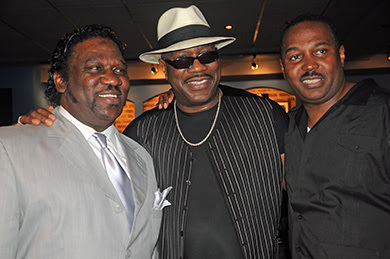 The second one is a version of the song, "Java," which Toussaint wrote in 1958 with New Orleans sax legend Alvin "Red" Tyler, and which later became a smash hit for Al Hirt. Toussaint kept a pretty low profile over the years, but without his contributions, music fans wouldn't have nearly as much to enjoy. We’ll continue with Dr. John. 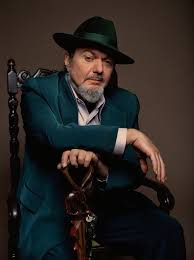 Dr. John has been around the New Orleans scene since the 60’s, playing guitar and piano on many sessions in the 60’s, before taking off on his own with a spicy mix of R&B and funk, including the hit “Right Place, Wrong Time” in the early 70’s. Though the hits have been scarce since then, he’s recorded some wonderful discs, including several tribute discs to his hometown of New Orleans, Dr. John's Gumbo and Goin’ Back To New Orleans. On Gumbo, Dr. John paid tribute to the New Orleans' R&B pioneers who paved the way for his success, covering many of the R&B classics of the previous decade or so, such as the Dixie Cups hit, "Iko Iko." For Goin' Back To New Orleans, Dr. John covered a wider span, paying tribute to many of his idols, including Booker, Fess, Louis Armstrong, and Fats Domino. 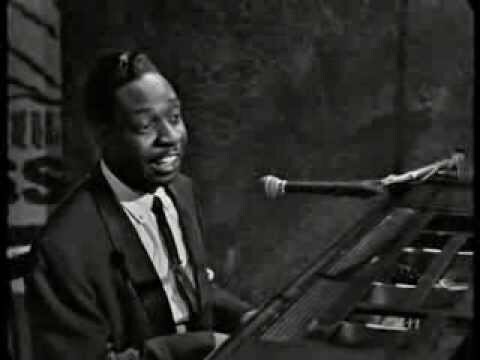 This song, “How Come My Dog Don’t Bark (When You Come ‘Round),” was an old Crescent City song made popular by Prince Partridge in the 50’s. We’ll hang in with the good Doctor for the closer today with the title track from Goin’ Back To New Orleans. This is a cool track featuring a host of New Orleans musical legends, including the Neville Brothers on vocals (with brother Charles on saxophone), Pete Fountain on clarinet, and the aforementioned Al Hirt on trumpet. Laissez Les Bon Temps Rouler!!!! !